Our student goal setting bulletin board kit shows students how their classroom learning directly affects their future success. Use this free goals bulletin board set to help your students connect what they’re doing at school to what they might want to do after they graduate. Because learning how to be in control of their goals, and how to achieve them, is a social and emotional learning skill that will benefit students for a lifetime. 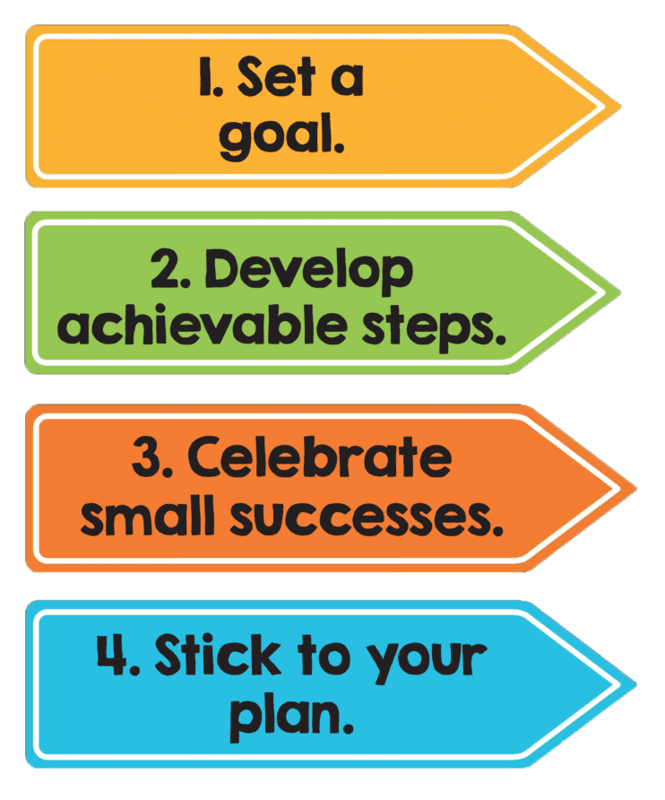 A step-by-step lesson explaining how to set goals with your students. An example set-up of how your bulletin board could look. 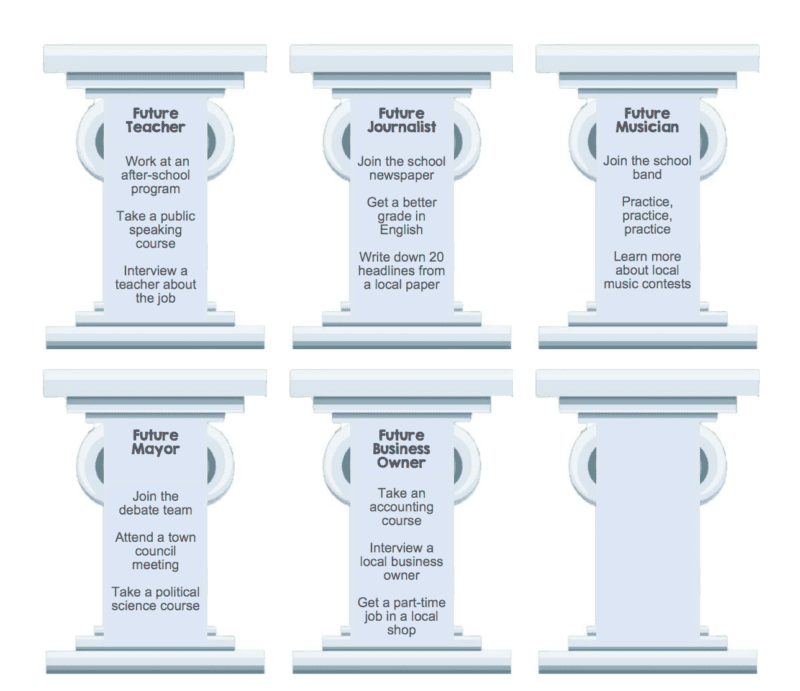 Five pedestals with pre-printed goals and steps to reach each goal as examples. Plus more than 20 additional blank editable pedestals so students can personalize their goals and steps. To add a personalized look, take pictures of your students, print them and add them to the bulletin board as well (See #4 as an example)! We hope you love this eye-catching decoration for your classroom, as well the new way to answer the age-old student question of how they’ll use their current learning in the future.